People who are crazy to know about dinosaur facts have one more species to get added up to their dinosaur tracking list. 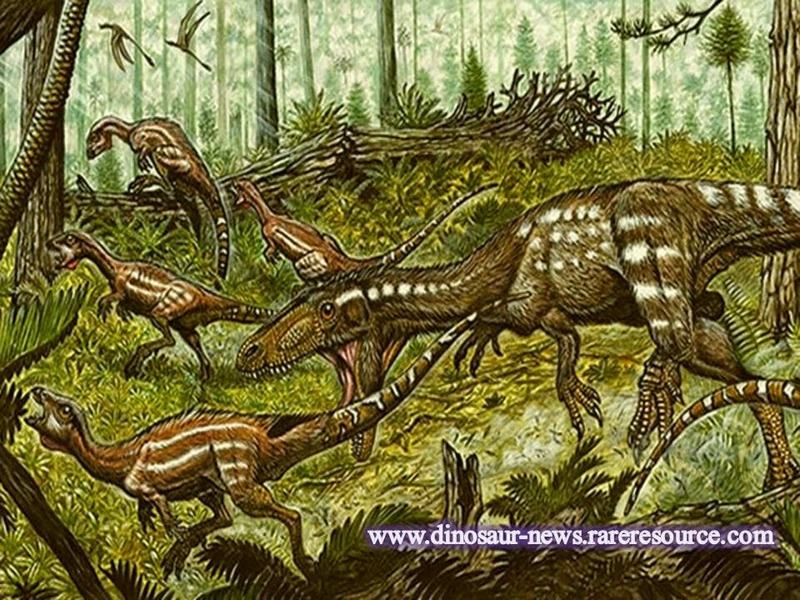 Yes, a new type of dinosaur species has been unearthed in Venezuela; believed to be a part of Tyrannosaurus Rex family. Already we knew Tyrannosaurus is generally referred to predator species that has comparatively gigantic structure compared to rest dinosaur species. But, now it is extremely amazing to know that Tachiraptor admirabilis is expected to be even larger than the revealed dinosaurs. Royal Society Open Science journal has recently published information about this study. A partial hip bone and complete shinbone with multiple fractures has been found while excavating a region in Venezuela. The size of the dinosaur was estimated to grow about 4.9 to 6.5 feet and even lengthier than estimated. The radiometric dating revealed that Tachiraptor admirabilis must have lived over 200 million years ago in early Jurassic period. The species is named Tachiraptor, “Tachira” denotes the place it has been discovered and “raptor” means thief. The Tachira theif will surely be considered as a milestone discovery as it could expose still more unpredicted facts about dinosaurs.